Every month Dr. Frederick produces a newsletter on different conditions, health and wellness. Check back here often for the monthly newsletter and any announcemnets about the office. With the snowy season coming quickly, it is a great time to review tips on how to be safe this winter. Check out this months newsletter and feel free to contact me with any questions. Welcome to Fall Everyone. Check out our October Newsletter for information on Posture, text neck, massage and more. Exciting things are happening at the office in the next month. Stay tuned to hear and see more! 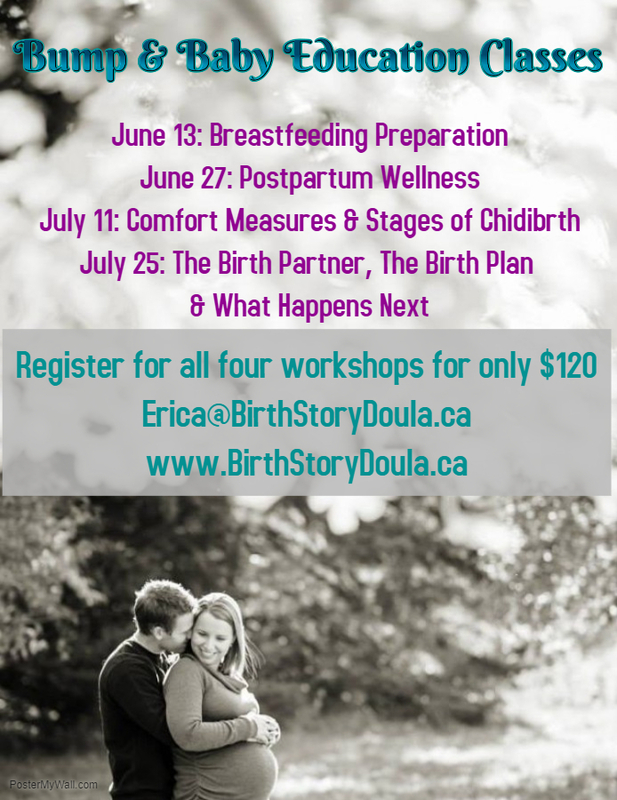 I am pleased to announce Erica Vincent who runs Birth Storey Doula Services, will be providing workshops out of the office throughout the summer and fall. 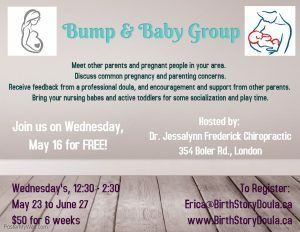 She will also be doing a bump and baby group starting this week. See attached posters for summer dates (fall dates to be posted at a later date). 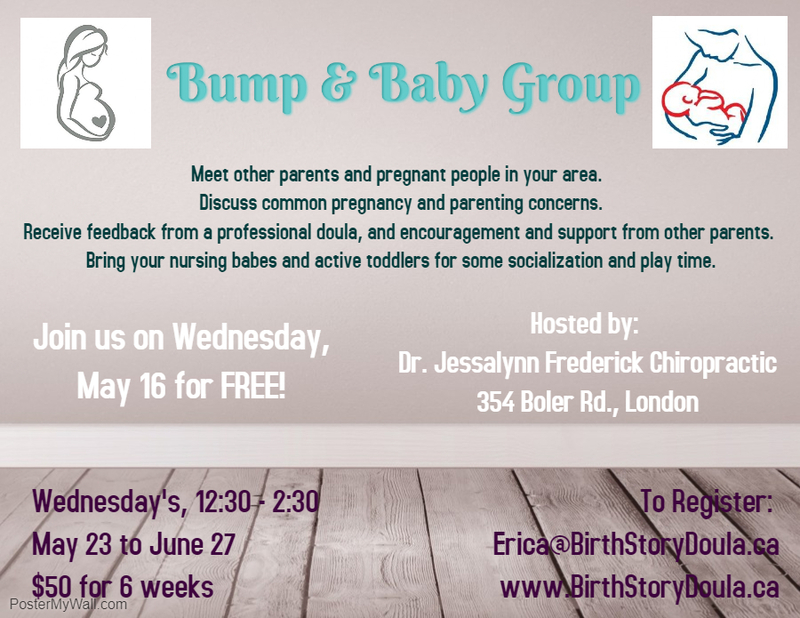 If you know of anyone who may be interested, please pass on this information and have them contact Erica. Just a reminder to check your emails for holiday office hours. We have already had one big snow fall, and we are bound to get another one! Remember to Lift Light, Shovel Right!” If you need a refresher on these tips, just follow this link https://photos.app.goo.gl/6j4j4QZjFwkfusV43 for a nice refresher. I hope that everyone has a wonderful holiday season and I look forward to seeing you all in the new year! It is that time of year again where I am taking a week of holidays. I will be out of the office from Monday February 1st to Friday February 5th. Please do not hesitate to call the office with any concerns or to make an appointment for when I return on Monday February 8th. I will have access to email, but will not be checking it frequently. Enjoy your week, and I look forward to seeing you when I return. I am happy to announce that baby boy made his arrival on Feb 24th. everyone is doing well. You can email me for details.